GRAPELAND, Texas (WLS) -- A ranger rescued a bird from a sticky situation near Mission Tejas State Park in east Texas. 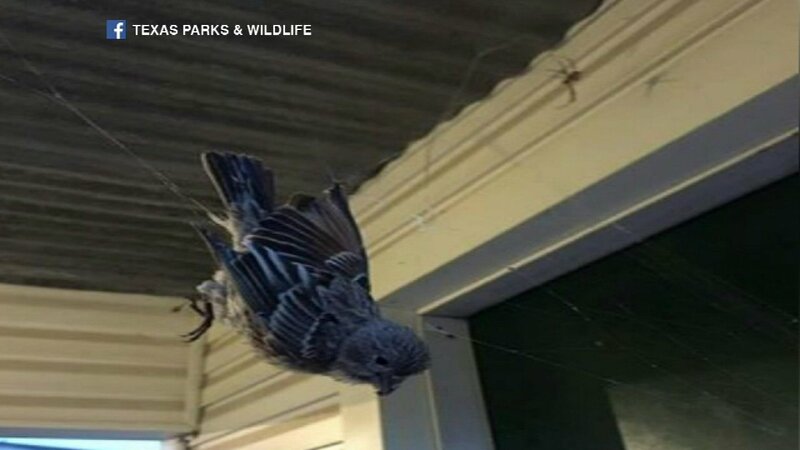 Texas Parks and Wildlife posted photos on its Facebook page Thursday of a House Finch that got caught in a spider's web. The black and yellow garden spider looked tiny compared to its prey, which couldn't move its wings. But wildlife officials wrote that "Ranger Josh" was able to free the bird without destroying the giant web.